I did this page for the I CAN SCRAPLIFT THAT! 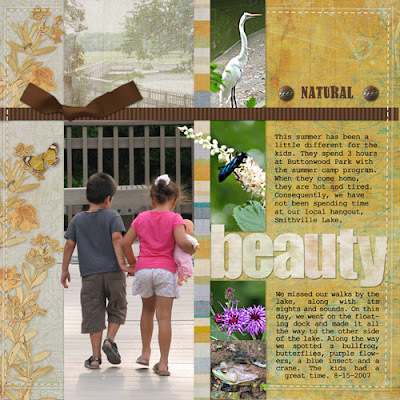 challenge at Scrapbook- Graphics, which was a sketch challenge this week. I also did it for the Trish Jones' blog play day this past Saturday. Happy Birthday, Trish! I hope you had a wonderful day. If you would like to see the page up close or the credits, click on my galleries links.